Cobra's new handheld is a must have if you're enjoying the great outdoors. 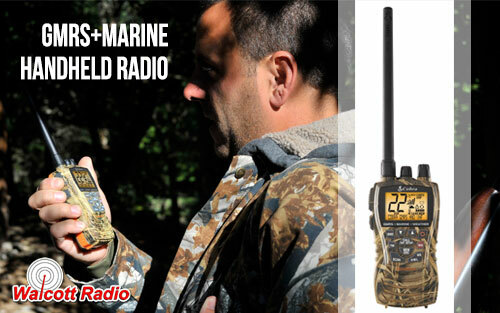 It's designed to be used both as a GMRS radio over land, and as a VHF Marine radio when on the water. 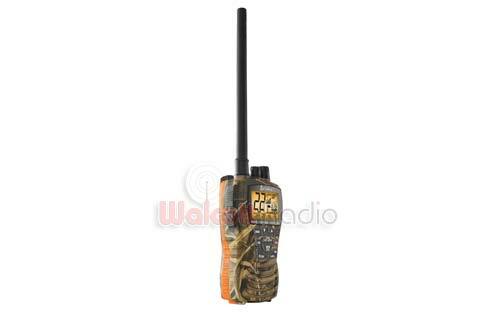 The radio is also waterproof and has a bright orange core which makes it easy to spot if it falls overboard. There's even a burp function that vibrates water out of the speaker grille if it gets wet. You also get access to NOAA Weather Channels and a weather alert to notify you of any oncoming storms or hazards. And, if you're away from the radio for a minute you can also replay the last 20 seconds of incoming audio. Dual Band Receive and Transmit. One BAND button allows you to switch from the GMRS to VHF bands. 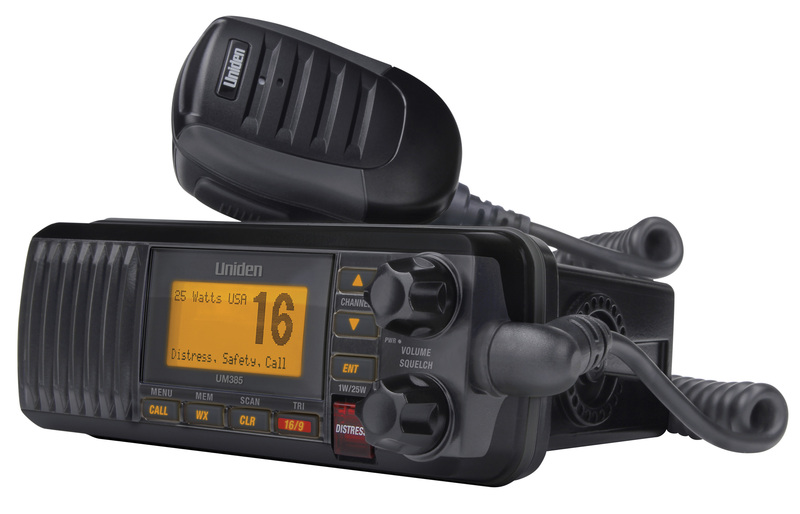 You can talk to GMRS users on the dock or ashore and easily switch to the VHF Band for routine or emergency vessel to vessel or vessel to shore communications. Blocks background noise for clearer conversations. 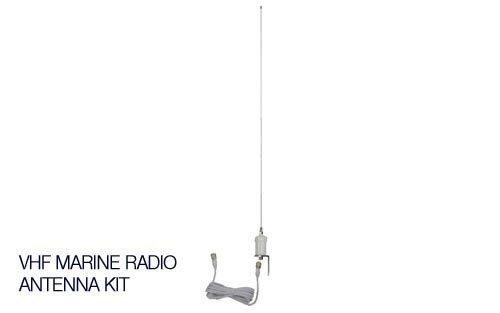 Select between Low, Medium and High power for short and long range communication. point the radio will detect their voice. Allows the user to scan either channels, CTCSS privacy codes within a channel, DCS codes within a channel, or up to 10 memory locations to locate conversations in progress. 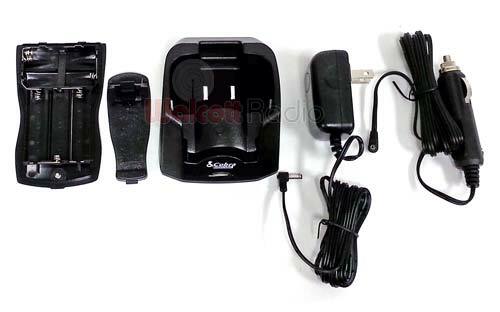 Connect Cobra speaker mic accessories for hip or body worn operation. Instant access to channel 16 for emergency marine situations. Allows programming of unlimited channels for easy retrieval or scanning. Scan channels programmed in memory to find conversations in progress. Cross-band scanning allows scanning for conversations on both saved and GMRS channels. Shows the strength of the receiving and transmitting signal. Key tone press beeps can be turned off to silent operation. For products sold in the U.S.A.